Insects attacking our alfalfa fields! We scouted a lot of our producers’ alfalfa fields today. 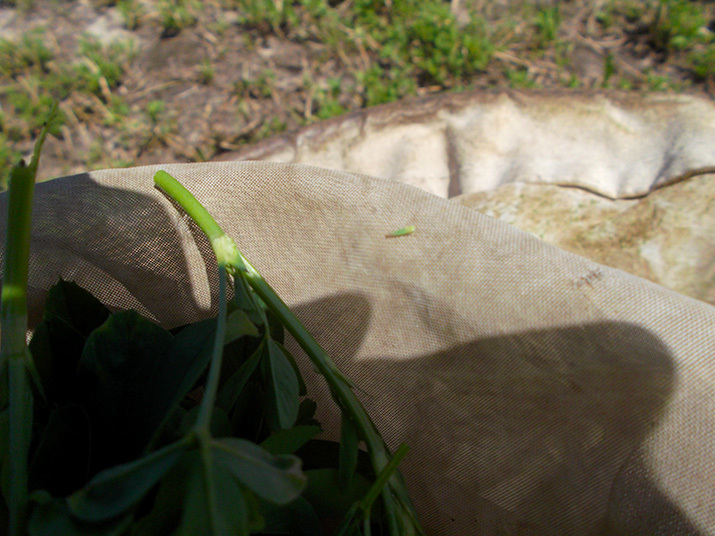 Second crop is well on its way and we are finding some insect pests. The potato leafhopper is one of the most damaging pest to alfalfa in Wisconsin. I looked at a number of fields today that will need to get treated very soon to take care of this troublesome pest. Also with first crop off, now is a very good time to topdress second crop with a mixture of Potash, K-Mag and Boron. Please get a hold of us for a recipe that will best fit your fields. 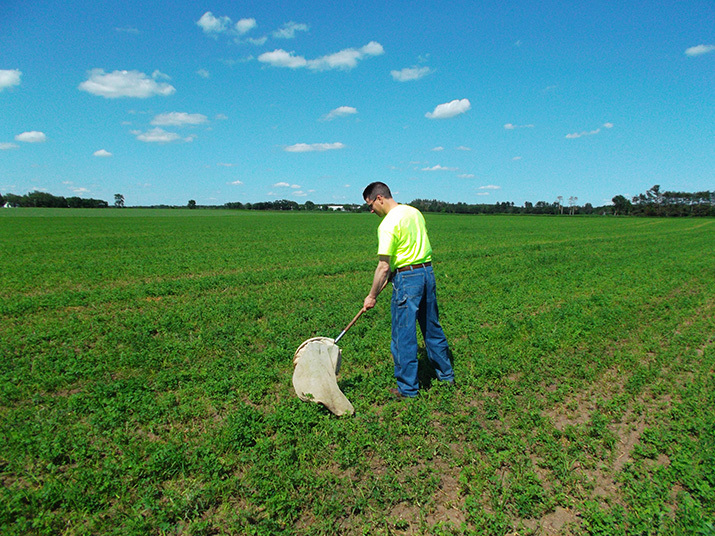 This entry was posted in Agronomy, Crop Scouting, Pest Control and tagged alfalfa, allied cooperative, crop scouting, crops, pest control, scouting, wisconsin. Bookmark the permalink.